Probate is the process by which the assets of someone who has passed away are collected together and then distributed to the beneficiaries in the Will. After the death of a loved one or family member, dealing with probate can be an unnecessary and stressful burden. It can be a difficult time to have to go through everything they have left behind, while also having to go through the proper legal processes that are required; the two things can often create an upsetting situation. Many people who lose a loved one and are required to carry out some part of the estate administration, often become easily overwhelmed and are likely extremely unsure of just what they have to do. It is possible for the executor of the Will to handle the probate application independently, but this can cause a number of complications, and if there are losses to the estate, the executor will be held personally responsible. The risks become even greater when the deceased has a complicated estate, such as when assets are held in trust, the estate is insolvent, unnamed dependants claim support, or the estate is worth more than the inheritance tax threshold. All of these issues can cause extreme distress during a time of already fraught emotions, and that’s without considering everything else that requires attention during a time of loss. At Sam Hawking Property Lawyers we know that the last thing you want during your time of grief is to be overwhelmed and bombarded with legal jargon and the worry that your loved one’s wishes are not being carried out correctly. That is why we strive to make the process of Probate as easy for you as possible and we will see you through the entire process right from the collating of information, the application of Probate, to paying any tax due, collecting the estate, paying any debts owed, and finally distributing the estate. We have years of experiencing in dealing with Wills and Probate for a variety of different clients and are well prepared for any eventuality that may occur during the process. The Probate process can become even more complicated if someone dies without leaving a valid Will. This is called intestacy and means that the deceased’s estate is divided according to the Intestacy Rules. For example, an unmarried partner will receive nothing, or unmarried siblings without children will not receive any assets should the other pass away. 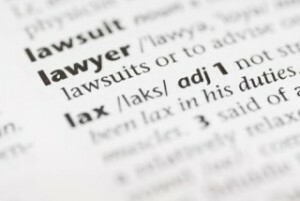 In this situation, it is wise to seek legal help, as this is when family disputes can occur, and you should strive to be as clear about the legal ramifications as possible.